The Mulholland Ranch is located in beautiful Suffolk, VA. This family owned and operated ranch was a life long dream come true for Connie Mulholland, who along with her husband, Michael J. founded the ranch in 1989. 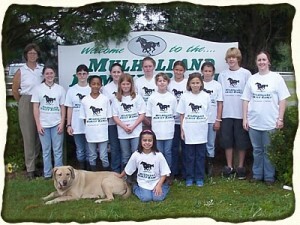 Connie started with riding lessons and training horses and in 1996 started offering “summer day camp”. Things are still growing and now we offer a wide variety of activities. Take your time to browse our site, enjoy your online visit with us and thank you for your interest. © 2006-2010 The Mulholland Group, Inc.